TCE introduces our new front kits for the 2011+ Ford Fiesta. These new kits combine all the time proven elements of our other kits and offer a variety of options for the intended use and fit. Hopefully... something for everyone! *Front Kits fit the Fiesta and ST. Rear kits do not. Application: The 'entry level' kit for those looking to improve their overall braking performance but keep the expense down. The P1 kit combines the very popular DynaPro six piston caliper with low cost, non directional cast rotors. For those looking to boost the performance level optional heavy duty GT rotors are a direct fit. Suitable for light to moderate open track use depending upon rotor and pad choice. Fit: Fits 16" and larger wheels. *Not proven to fit oe wheels yet. 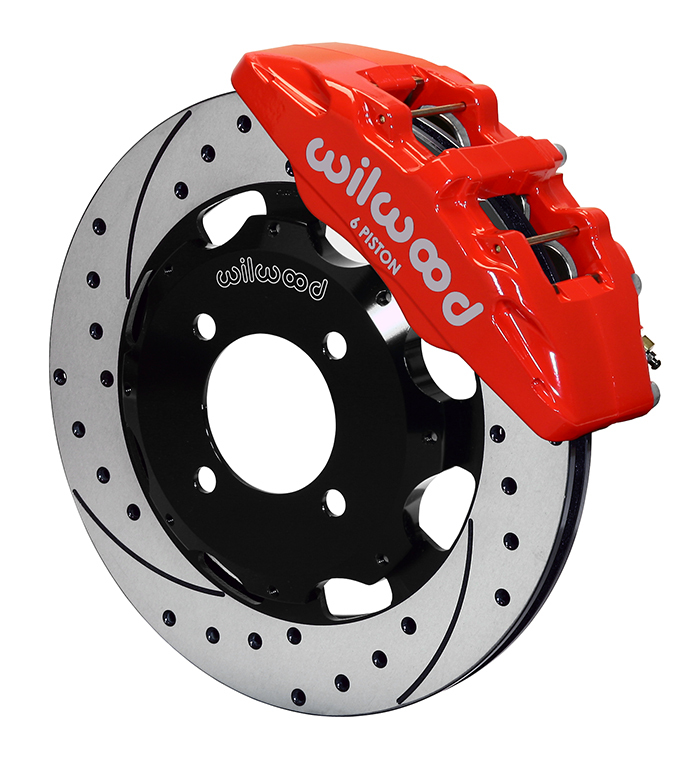 See Wilwood pdf for wheel fitr info. Notes: For track day users the substitution of GT castings is highly recommended. Application: For anyone looking to stand out from the crowd the TCE P2 kit is a hands down winner. Received well on many platforms the DP6 caliper offers improved pressure points and wear of the brake pad all the while clamping to an impressive 13" rotor for more durable thermal management. 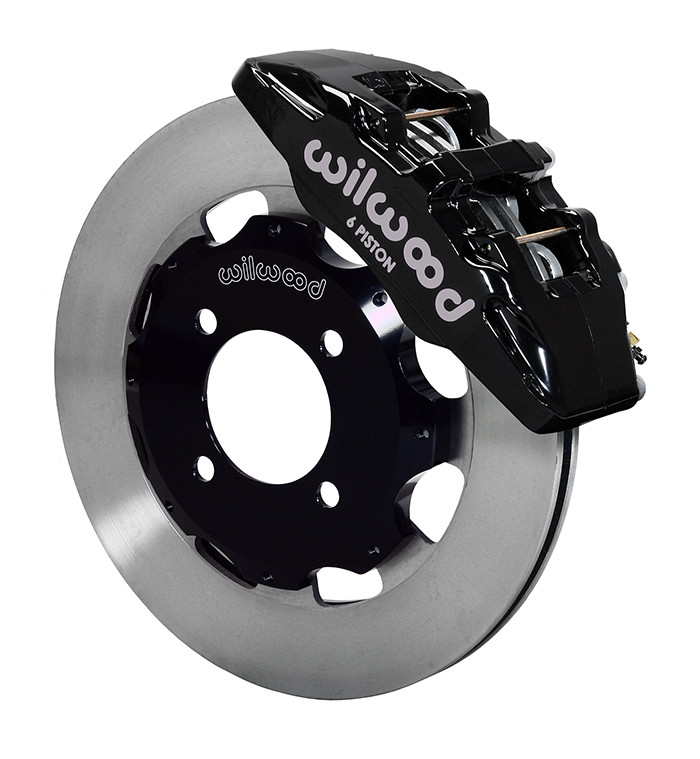 The 13" casting and DP6 rightly fill out any 17" wheel where appearances and braking performance are required. Notes: Suitable for moderate track day use when fit with the appropriate pad compound such as Poly B. Application: TCE take the lead in open track day use by offering this heavy duty kit! We fit the massive 1.10" wide rotor and fit the track proven FSL caliper and their 20mm wide pads for the most demanding of long term track use. Notes: Sold with BP10 street pads, suitable for street use but alternate pads recommended for open track use. Application: With the advent of the Fiesta ST came the demand for yet more braking products. TCE had been asked repeatedly what we had to offer ST owners beyond the smaller Wilwood kits. While our 13" where ample at lower performance levels the advent of the ST proved greater speeds meant a need for greater braking performance. We've answered the call with this 14" kit. Notes: Sold with BP20 for elevated street performance. Optional nickel plate and thermlock pistons for the ultimate in thermal protection on open track days. Application: Conversion for stock drum brake rear. Wilwood factory kit including new parking braake cables and ss flex lines. Can be used in conjunction with either the Wilwood or TCE/Wilwood front kits. Ditch the drum. Fit: Requires 16" or larger wheels. Please see the Wilwood pdf for wheel fit info.